Shortlisted for Waterstones Book of the Year 2018. What changes when good people enter power? Objective and surprising: a readable and important insight into the mechanics of Whitehall. 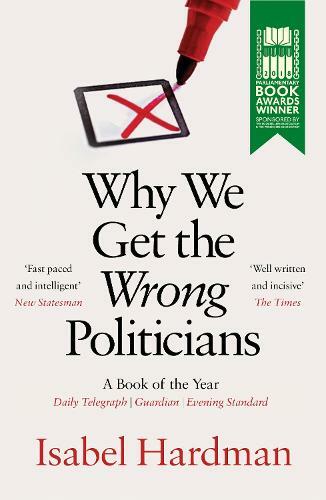 [This book] is about how we get the wrong political cultures, which lead to us having and unrepresentative, often unprepared and frequently unhappy bunch of politicians who end up passing bad laws causing personal disasters on small or catastrophic scales to people who then flood their constituency surgeries in crisis. Politicians are consistently voted the least trusted professional group by the UK public. They've recently become embroiled in scandals concerning sexual harassment and expenses. Every year, they introduce new legislation that doesn't do what it sets out to achieve - often with terrible financial and human costs. But, with some notable exceptions, they are decent, hard-working people, doing a hugely difficult and demanding job. In this searching examination of our political class, award-winning journalist Isabel Hardman tries to square this circle. She lifts the lid on the strange world of Westminster and asks why we end up with representatives with whom we are so unhappy. Filled with forensic analysis and revealing reportage, Isabel Hardman’s impressive and insightful first book takes a long, balanced look at those in office and those who lost out, questioning our very system of government and the divisions and cynicism it so readily appears to foster. Objective and surprising, Hardman presents a very readable and important insight into the mechanics of Whitehall. A landmark study, Why We Get the Wrong Politicians is a must read for anyone who wants to understand the landscape of contemporary politics and see a future with better government. A political journalist, Isabel Hardman is Assistant Editor of the Spectator and presenter of Radio 4’s The Week in Westminster and regularly contributes to other publications including The Times, Observer and Evening Standard. Why We Get the Wrong Politicians, an examination of the contemporary political landscape, is her first book.